In this blog post, we’ll look at the five best reasons to switch from your current hot water system to an energy efficient tankless water heater. From lower bills to more hot water, read on to learn why it’s time for you to make the switch. Did you know that you could reduce the amount of energy you use for water heating by as much as 20% by switching to tankless? 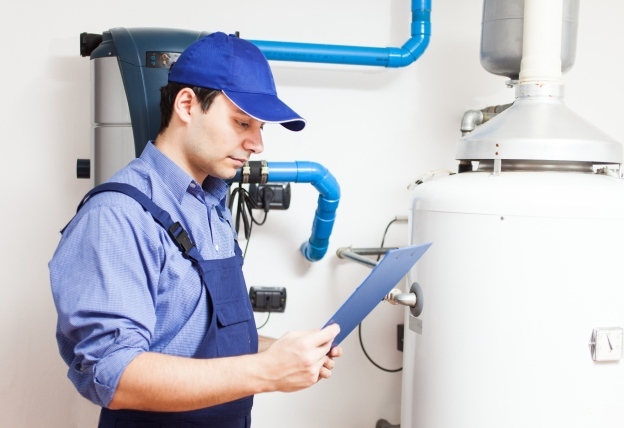 Tankless water heaters use less energy than tank heaters, often by a significant amount. This is because tankless water heaters only need to heat water at the exact moment it’s passing through the heater. Since there’s no need to keep water warm during the entire day, your energy consumption is reduced by a significant amount. Do you like a long shower? How about a relaxing hot bath? There’s nothing quite as nice as relaxing under hot water after a hard day at work, especially when your hot water supply is truly limitless. Unlike tank heaters, which can run out of hot water and leave you without access to a warm shower or bath when used heavily, tankless water heaters never run out of hot water, no matter how much you use them. Did you know that tankless water heaters don’t produce any greenhouse gases? The modern technology used in today’s tankless water heaters makes them significantly more environmentally friendly than yesteryear’s tank heaters. As well as reducing your energy bill, tankless water heaters can significantly reduce your environmental impact. Enjoy guilt-free hot baths and showers without having to worry about your environmental impact. While most tank heaters work flawlessly and never leak, there’s always the risk of a potentially devastating ruptured tank occurring. When a tank heater breaks, the end result can be serious: a flooded home and severe structural damage. Since tankless water heaters heat your water as it passes through the heater itself and don’t store any water in a tank, there’s no risk of them rupturing and flooding your home when overused or poorly maintained. Unlike tank heater, which take up a significant amount of space and are installed in closets and other empty spaces, tankless water heaters are small enough to fit inside your bathroom’s cabinet or inside the ceiling. In fact, tankless water heaters are so compact and durable that they can be installed outside your home using an anti-freeze kit. Enjoy endless hot water without the big footprint and installation space of a traditional tank heater. Is it time for you to go tankless? From reducing your energy consumption to keeping your hot water flowing even in heavy use, tankless water heaters offer a wide range of benefits that make them one of the best choices for your home. Are you ready to enjoy the lower bills, increased efficiency and endless hot water of a tankless water heater? We can help you go tankless and enjoy hot water when you need it.